A ground-breaking, collaborative research pilot, led by a team based at London South Bank University (LSBU), that aims to identify people attending court with autism, to ensure they are treated fairly, is being trialled in the UK. The purpose of the trial is to ensure that the courts receive the necessary guidance regarding sentencing and that individuals with autism attending court receive the necessary support and guidance and are diverted from the prison system, when appropriate. LSBU is spearheading the three-year research pilot, supported by £675,000 funding from Guy's and St Thomas’ NHS Foundation Trust, in collaboration with South London and Maudsley NHS Foundation Trust (SLaM). 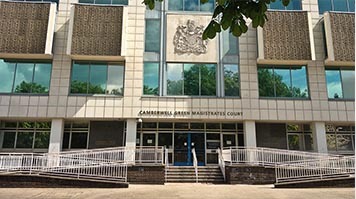 The trial has the potential to help up to 150 people a year with autism or intellectual disabilities, to access the care and support they need within the court system. Work commenced on the research in Spring 2017 and the service is set to be operational following a six month period, with the team set to report back on its findings in 2019. Using a case management approach, LSBU’s clinical research team will support engagement with local services, including community and arts-based projects at the University. The research aims to promote community integration and inclusion in an effort to reduce re-offending rates’ and contact with the Criminal Justice System. Leading the research team, Dr Eddie Chaplin, Associate Professor in the Department of Mental Health and Learning Disabilities at LSBU’s School of Health and Social Care (HSC), said: “This project has been commissioned primarily because our court systems are currently failing people with both autism and intellectual disabilities. “Another reason why this research is so vital is because very little is known about the actual levels of autism spectrum disorders or intellectual disabilities among our court populations. Recent publications have also shown that staff working in court diversion services often lack the awareness and skills needed to correctly identify these individuals, in order to offer them appropriate support. “This has resulted in increasing number of individuals with autism ending up in prison due to a failure of the system to identify them and recommend a more appropriate and less restrictive option. “The result is a negative knock-on effect as people with autism also tend to end up being subjected to long-term social disadvantages as a result of their vulnerability, which in some cases pre-disposes them towards re-offending and suffering further mental health problems.